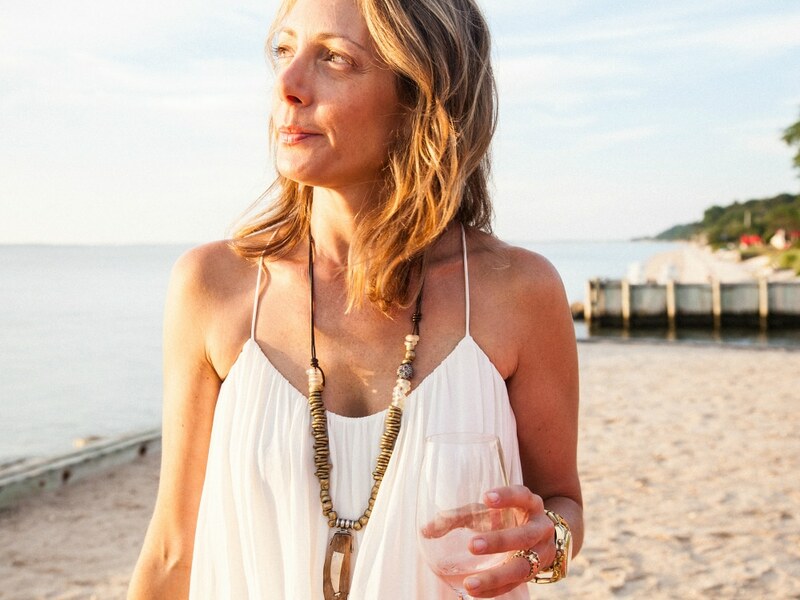 The Select 7 founder Pamela Schein Murphy shares some of her favorite summer cocktails with us. Pamela Schein Murphy enjoys a rosé on the beach. Every summer, right around this time, I hit a rosé wall. That’s right, the most beloved of summer drinks becomes intolerable to me and I just. Can’t. Drink. Another. Glass. In fact the thought of it is torture. Maybe it says more about my rosé consumption leading up this time than it says anything about rosé per se (because I really do love it), but whatever the case may be, I’m left mid-July without a drink of choice, and that’s criminal. But I’m not a quitter, so I’ve spent the last few summers creating an arsenal of drinks that are just as pretty, and take the place of a glass of chilled rosé pretty nicely. Recipe: Vodka of choice (I like Titos or Chopin), club soda, splash of maple syrup (I like DOC’s). Pour the Vodka and soda into a highball glass over ice (as you would any vodka + soda) and add a splash of maple. I mean a splash. You don’t want to add to much or it will get sweet. You can lways add more, but it should just be a hint of maple flavor. Stir and enjoy. As much as I would love to, I can’t take credit for the name of this drink. I can, however take credit for the recipe. Here’s the backstory: One of my closest friends is the purveyor and creator of DOC’s Maple, a family-run, singly sourced NY State syrup business, and when I first tasted I couldn’t believe my mouth. I’ve had a lot of syrup in my day, but DOC’s is different: it’s light, not too sweet and it’s really freakin’ delicious. So I did what I always do with any new liquid I try, and thought to myself, "OK, but how would taste with vodka?” The answer is: Fantastic. Think a much less sweet version of Dr. Brown’s Cream Soda, with no hint of alcohol (that’s a warning, actually), that feels refreshing and perfect for a summer evening. 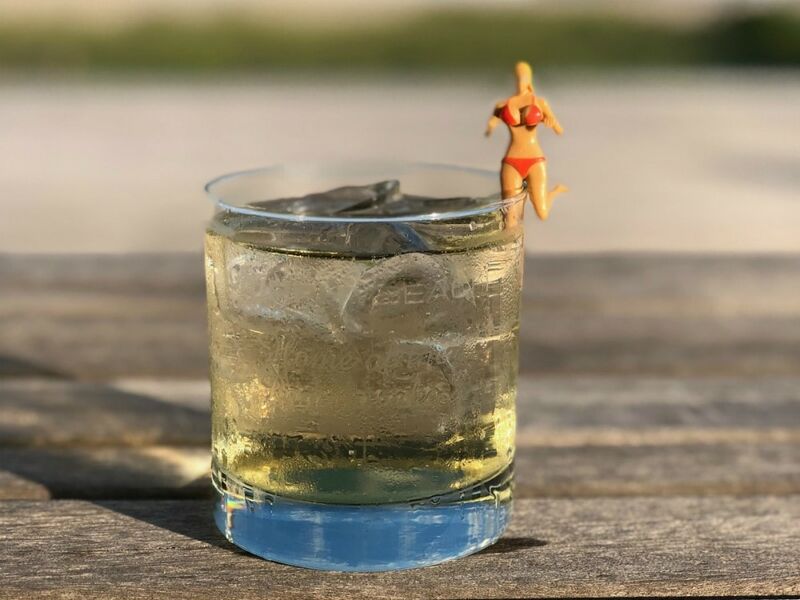 That first summer of PammyCakes discovery, I drank it on the daily, prompting my friend Jeff Mauro to not only christen it, but he even made these glasses that say: Murphy Beach, home of the PammyCakes." Recipe: 1 part Aperol, 2 parts orange flavored seltzer (I like La Croix Tangerine), orange slice for garnish. 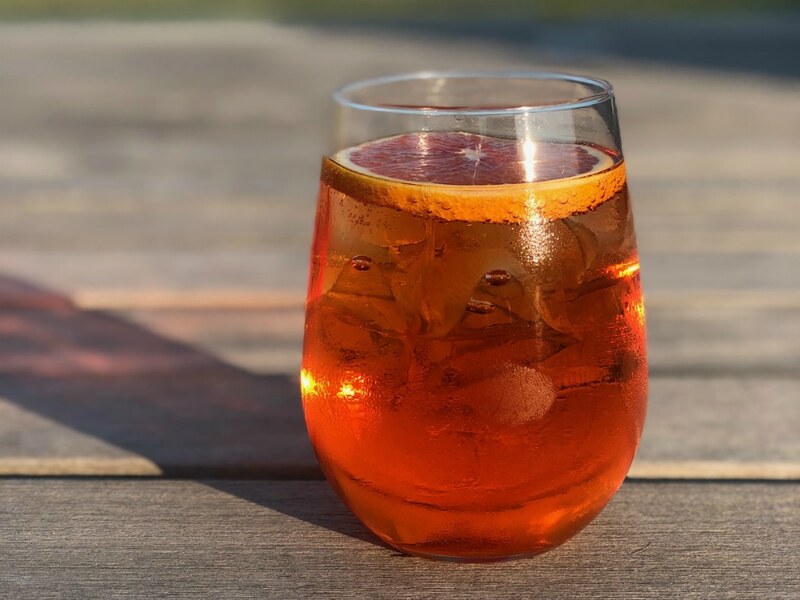 Pour the Aperol and Seltzer into a wine glass over ice, add orange slice for garnish. Fact: My blood is 99 percent Aperol. I love it so much I tear up every time I see it. And that’s not hyperbole. And while I really do love an Aperol Spritz, sometimes that much Prosecco can be less-than awesome for my head the next day (again, that probably says more about my consumption than it does about Prosecco), so I like to experiment with Aperol on an ongoing basis. This combo was born as a purely emotional reaction to my husband’s love for Campari and soda. A drink that looks like it’s going to be refreshing and delicious but makes my mouth pucker every time I try to drink it. I am clearly NOT a Campari person. So I played with Aperol and Soda, which is also good, but add in some orange to enhance the orange in the Aperol, and you have a drink so delicious I want to swim in it. 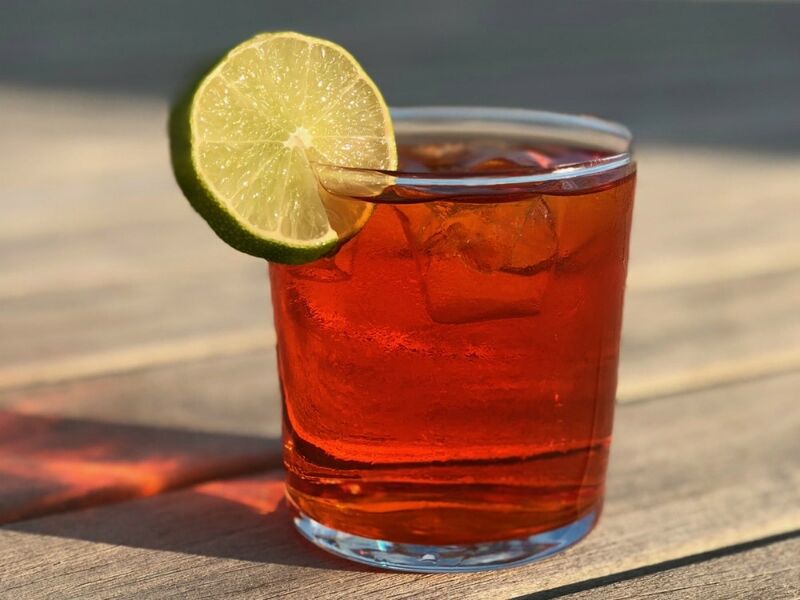 As I said, I don’t like Campari and I really don’t like gin, but I do love Aperol and tequila, and I’ve always loved the look of a Negroni, so I made my own. Which is not at all a negroni, but it’s what I order in a restaurant (sub Campari, sub gin). This is an “adult” drink, for when you don’t want a martini, but want to feel like you’re crushing adulthood. It also has Aperol in it, so you’re welcome. 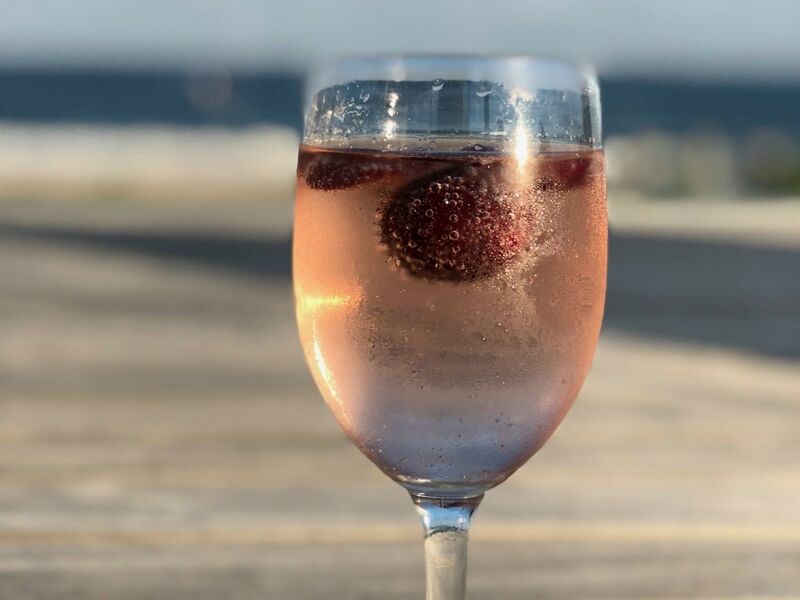 Recipe: Rosé wine of choice, grapefruit flavored seltzer (I like La Croix Grapefruit). I don’t use ice for this one, but you certainly can. You can also add some cherries to the glass for garnish, just because it’s really pretty that way. Okay, I know what I said earlier about rosé, but let’s face it: there’s really nothing prettier. Plus, if you live on the East Coast from May to September and ever invite anyone over to your house, they will expect you to have it and to ensure that you do, they will undoubtedly bring you a bottle, so I figured I needed to come up with a drink that incorporates it so I don’t look like a hater (because I’m really not). This one was pure dumb luck. I don’t have a terrifically sophisticated palette when it comes to flavors, but I do think that things that are pink should go nicely together, so naturally rosé and grapefruit seemed like a perfect match. I got lucky this time, because they are. The seltzer cuts the acid in the wine and what you’re left with is what I would argue might just be the real 'summer water' deal. Light, refreshing and super easy to drink.